Diego Bonetto is an artist, keen naturalist and award-winning cultural worker. A Sydney-based multimedia artist, Diego is a key member of artists’ collectives SquatSpace and the BigFAGPress. Diego’s art practice encompasses neighborhood-relevant projects like the Redfern/Waterloo Tour of Beauty and environmental campaigns like the Weedy Connection project. In all his work, Bonetto campaigns for a more culturally aware interpretation of the landscape, based on research provided by disciplines as diverse as biology, anthropology, paleontology, social ecology and ethnobotany. Diego collaborates extensively with chefs, academics, herbalist, brewers, soap makers, producers, educators and landowners presenting Wild Stories, a program of workshops, tours, community engagement strategies and exhibitions. Diego also works with the scientific and academic community presenting regularly at conferences and symposia about the cultural value of botanical species. Major recent exhibitions and commissions have included Foodfight (2016), a C3West commission with the MCA and Liverpool Council, Sydney; Beasts of Alderley (2016) commissioned public artwork in Brisbane and Time_Place_Space: Nomad (2014), with Performance Space/ArtsHouse. Georgina Pollard studied Theatre theory and practice at the University of Western Sydney and Painting at the National Art School. She has participated in numerous group shows in Sydney and regional NSW and has had 5 solo shows, the most recent being at Western Plains Cultural Centre in Dubbo. Pollard has also worked and founded artist run initiatives such as INDEX. space in St Peters and Cementa Contemporary Arts Festival in Kandos. Residencies include Hill End and Kandos. She is also a member of KSCA participating in one of the residencies with The Living Classroom. She left Sydney to live and work in Kandos, NSW in 2013. Alex Wisser is an artist and creative producer. After graduating honors from the National Art School, he became an active member of the Sydney ARI scene, founding and acting as co-director at a number of art spaces and initiatives in Sydney. In 2013, Alex co-founded Cementa Contemporary Arts Festival in Kandos NSW. This festival engages artists with the social, environmental, and cultural context of the small town that hosts it. Alex’s individual arts practice originates in photomedia but he also works in installation and performance. His work has recently developed through large scale, long term projects like Cementa and KSCA into a cross disciplinary, community engaged practice exploring the potential of art to participate in everyday cultural contexts, especially the regional context in which he lives and works. He has exhibited widely across Sydney and has been selected for numerous prizes including Redlands Konica Minolta Emerging Artist Prize, Josephine Ulrick and Win Schubert Photography Prize (highly commended), Fisher’s Ghost and The Bowness Photographic Prize, amongst others. Karla Dickens is a Lismore-based Wiradjuri woman who works with collage, assemblage, installation and painting, exploring the complexity of Australian history, contemporary Aboriginal experience, and working on grassroots community initiatives. An accomplished contemporary artist, her work was recently included in the multi-venue major Australian survey exhibition The National in Sydney. Dickens has shown in many solo and group exhibitions, at Prague Quadrennial of Space and Design, Museum of Brisbane, Old Parliament House, Canberra in, Hogarth Galleries, Perspecta, Columbia University, Tin Sheds Gallery, 24HR Art, Darwin, Northern Territory, Lismore Regional Art Gallery, Carriageworks, Ray Hughes Gallery. Dickens’ artworks are held in many collections including Lismore Regional Art Gallery, Grafton Regional Art Gallery, and Campbelltown City Art Centre, UTS Art Collection, the National Museum of Australia, Artbank, Maritime Museum Sydney, Museum of Arts and Applied Sciences, Black Fellas Dreaming Museum, and the Syron collection. Dickens has undertaken numerous artist-in-residency programs, including at Brewarrina in 1995 where she worked with 10 local children on a 16-metre mural, and with Asialink in Java and Alice Springs. In 1997 she was the artist in residence at the University of Technology Sydney (UTS), Sydney and spent three months in Cape York, Queensland. In 1998 she had a two-month residency in Guardella, Italy. In 2006 Dickens was the recipient of the Bundjalung Art Award and the People’s Choice Award for her work in the Our Spirit, Our Country exhibition. Mark Swartz has been working independently and collaboratively with various collectives since 2010. The unifying feature of his work is the exploration of inherent connections between organic and industrial products. His work varies from reshaping recycled car tyres to create large tactile sculpture, copper wire for thin, delicate and detailed works as well as timber and bamboo to explore new large scale skeletal forms. Swartz has exhibited in two solo shows in 2012 at Plump Gallery, Enmore and 2013 at Skunkworks Gallery, Marrickville. He has received several awards, including theDamion Courtenay Memorial Award, Sculptures by the Sea Bondi in 2011 with Tread Collective, first prize at Harbour Sculpture 2014 Woolwich with his work ‘Feather Hull’, in 2015 first prize at the Australian Bamboo Sculpture prize Wingham. He was a finalist in Sculpture by the Sea Bondi 2017. In addition to his artistic practice, Swartz has been project managing and fabricating large scale creative projects, including community engagement and development workshops. These workshops travers a wide variety of ages and abilities that span geographically from remote Northern Territory to rural NSW and inner city Sydney. Imogen Semmler is a creative producer, artist and emerging scientist completing a degree in Ecology at the University of New England. She is passionate about the science of ecological agriculture with a focus on soil and landscape ecology. Her programming and producing work has spanned festivals, theatre, public art, panels, conferences and interdisciplinary art projects. Imogen was founding Artistic Director of Underbelly Arts, an event for emerging and experimental artists in Sydney. She has also worked with a range of arts and media organisations including Sydney Festival, Melbourne Comedy Festival, Creative Sydney, the Australian International Documentary Conference, Art and About, The Great Escape Festival and the Indigenous Remote Communications Association. Lucas Ihlein is an artist, academic and ARC DECRA Research Fellow in Creative Arts at University of Wollongong. 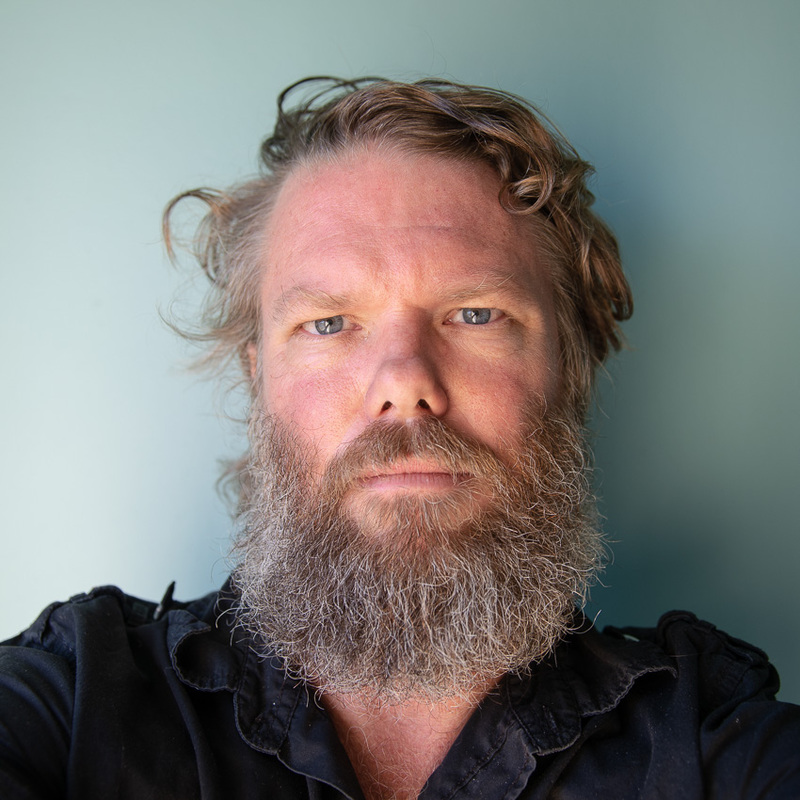 His research uses socially-engaged art to explore cultural innovations in farming – principally in the sugar cane industry in Central Queensland. Utilising a creative practice-based research methodology (including blogging, printmaking, public events and scholarly publication) to explore complex environmental management issues, his current research project, Sugar vs the Reef – Socially Engaged Art and Urgent Environmental Problems, is the focus of his ARC DECRA Fellowship from 2016–18. Ihlein is a founding member of Kandos School of Cultural Adaptation, which in November 2016 hosted Futurelands2, a public forum in rural NSW about transformations in human relationships to land. He is also a founding member of artists’ collectives SquatSpace, Big Fag Press, and Teaching and Learning Cinema. Jonathon Bolitho is an interactive media artist working with light, sound and emerging technologies to create tactile and engaging experiences. He has exhibited several large scale interactive works for Vivid Sydney as well as internationally. With a background in Permaculture, his work often takes inspiration from the natural world, drawing parallels between seemingly disparate phenomena in a playful and inquisitive way. He holds a Bachelor of Media Arts majoring in Interactive Media from UNSW Art and Design. Laura Fisher is an artist and writer whose work often marries social research and collaborative creative practice. Recent projects have focused on urban cycling cultures, cross-cultural arts, and the role of socially engaged art in bridging the rural/urban divide to foster sustainable land use. She pursued some of this research while a post-doctoral research associate at Sydney College of the Arts, the University of Sydney. In 2016 Laura convened and co-organised KSCA's first major event: Futurelands2, a weekend public forum in the rural town of Kandos. Laura is the author of Aboriginal Art and Australian Society: Hope and Disenchantment.